You are here: Home / Weekly Columns / Opinion / Apple WWDC 2018 Keynote: 5 Announcements Everybody Wants To Hear. Apple WWDC 2018 Keynote: 5 Announcements Everybody Wants To Hear. 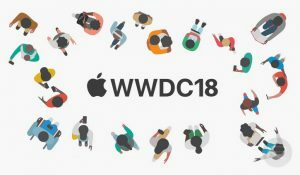 (ThyBlackMan.com) Apple WWDC 2018 is going to be the company’s biggest event for developers. Those who couldn’t get tickets or won’t attend the conference, Apple will stream it through the company’s official website and the dedicated WWDC app. The rumors and expectations for this year’s WWDC will come to an end during the conference scheduled to run from June 4 to June 8. With hints of new hardware, software, and product features, we are anticipating Apple to finally reveal the much-awaited products and services. Here’s what fans should expect from the Apple WWDC 2018 keynote. At the WWDC 2017, Apple made announcements about the iOS 11. The company shared details about improved Siri, iMessage features, do not disturb driving mode, and several other improvements. From the Apple WWDC 2018 keynote, fans are expecting the announcement about iOS 12. Apple always shares details before launching the new iPhone and iPad and this year will probably be the same. Apple may announce some features and updates related to augmented reality, privacy and digital health. This year’s version of the iOS will likely be focused more on reliability and performance. The company is expected to talk about Mac, Apple TV, Apple Watch, and other devices. Last year, it was HomePod that caught attention. Last year, the company introduced HomePod, and we also got to see the wireless headphones AirPods in 2016. During the Apple WWDC 2018 keynote, fans can expect to see how AirPods have changed. Apple is reportedly working on an improved chip for the wireless headphones. The new version of AirPods is likely going to be water resistant and it will feature always-on Siri functionality. Apple will introduce watchOS 5 in June at WWDC 2018. The update will be available from September 2018 for its smartwatches. During this period, Apple will probably roll out a series of beta versions which will be exclusively available for developers and public betas won’t be available. This is how Apple treats the watchOS yearly and this year will probably be the same. Forget last year’s iMac Pro memes, Apple is perhaps bringing a new Mac PC this year. This one is expected to be a brand new product. Some reports are suggesting the release of a new, entry-level MacBook Air with Retina Display while others are saying Apple will unveil the Mac Pro the company promised. Apple is reportedly working on solutions to help developers create applications that run on both iOS and Mac OS devices. If it happens, this move will certainly revolutionize the way people use applications on their devices. Apple has been trying to make this happen for a long time. The company has been trying to replace laptops with iPad and since the iPad Pro is now available in large size, allowing developers to create applications that work on the mobile devices and a Mac makes sense. Apple always has something to surprise fans and this year will also be the same. Last year, the launch of the 10.5-inch iPad Pro, iMac and HomePod was a complete surprise, so fans can expect some totally unexpected announcements this year during the WWDC 2018 keynote. If we consider the previous updates for the macOS, Apple is trying to make content sharing easier. The company also knows they still need more improvements in terms of virtual assistance technology. Even after the arrival of the HomePod, Amazon Alexa is still ruling the market and its popularity remains the same. According to reviews, Siri is nowhere close to the quality of service Google Assistant and Alexa are offering. Apple will probably highlight some key features of Siri and encourage developers to use the voice assistant more. Since the event is still weeks away, more leaks will come out and until the keynote, there will be many rumors and we won’t know what’s certainly coming from Apple WWDC 2018. I can only hope “Apple” surprise us literally… Can’t remember the last time they left us speechless… I will admit, the “Apple Watch” is the best on the market.